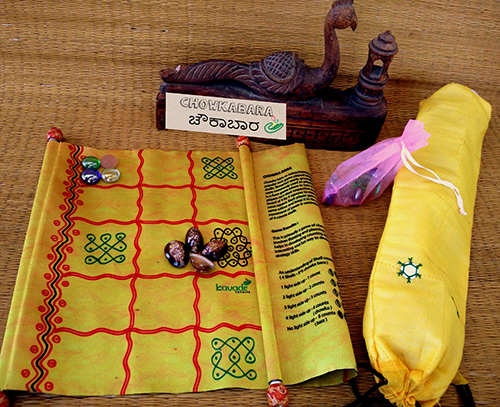 One of the oldest board games of India, Chowkabara is an exciting race-game that has found mentions in epics like the Mahabharata. This game set comes in the form of a hand scroll, making you feel every bit regal. There are 4 sets of beautiful pawns and 4 cowrie shells, included in this set. The rules of the game are printed on the back of the scroll, making it a compact travel companion.